I’ve been an LL Bean fan and customer for years. As a matter of fact my life contains a vast majority of their clothing and gear. In my opinion LL Bean’s customer service is legendary, so when I needed a jacket for layering I turned to Bean. February here in New York has been extremely cold, with Jack Frost nipping at the noses of most in the Northeast. In retrospect a perfect environment to put my new remarkably light LL Bean “Ascent” Packaway jacket to the test. This jacket boasts 60-gram remarkably light PrimaLoft One insulation. Ultralight ripstop nylon shell is treated to shed water and block wind. A highly compact alternative to fleece, packing into its own hand pocket. Improved fit is trimmer through the body and upper arms with the ultralight ripstop nylon gliding easily under layers for a smooth fit that won’t restrict your motion. Shell resists wind and weather, has a drawcord hem and elasticized cuffs to seal in body heat, rated at -15 degrees. Center back length, size L: 27″. Imported. Machine wash and dry. Slightly fitted, best with lightweight layer, falling at hip. 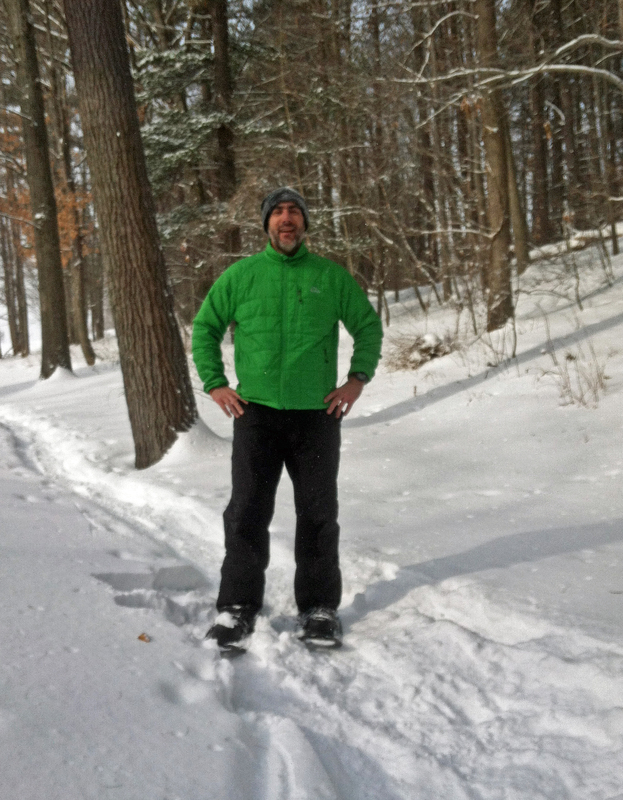 I wear a size large but decided to order an extra large for additional layering as I plan on using the jacket snowshoeing in the High Peak’s of New York’s Adirondack Park. Here weather conditions could change within minutes. Friday February 13th 2015 was sunny and cold with the temperature at 3 degrees and a wind chill of -13 degrees. With the wind at a moderate 11 mph I snowshoed around the local park for 3 miles averaging 2.9 mph. This particular park is open with no shelter what so ever. The jacket performed flawlessly. It did what it said, blocked the wind and kept me extremely warm, I was very impressed and extremely excited. I thought the jacket fit just right, I was unrestricted in my movements and after the first mile or so I had to slightly unzip it as I began to sweat a little. Sunday February 15th 2015 was sunny and cold with the temperature at 0 degrees and a wind chill of -22 degrees. The wind was howling at 22 mph today and I went for a 5 mile snowshoe hike at a place called the “IBM Glen” where I averaged 3 mph. The first and last parts of my hike were .35 miles each across an open wind swept and snow drifting golf course. The wind was pushing at me so hard I had to use my poles to keep me upright. Again this jacket performed flawlessly! In truth I was utterly impressed because it was brutally cold out. Once in the woods I did receive some shelter from the wind. Like I said the jacket fit just right and I was unrestricted in my movements. On both days I wore the exact same clothing to make sure this test was as accurate as possible. The layer closest to my body consisted of an Under Armour Cold Gear compression long sleeve shirt, followed by an LL Bean “Expedition Weight” base layer, topped with LL Bean’s linden green Ascent Packaway jacket. I truly love this jacket and its versatility. I felt very warm during the weather conditions on both days. I like the fitted style and feel of this jacket and I strongly believe it does what it says it does, blocks the wind and sheds water. This jacket is perfect for layering during the winter and can stand alone during the Spring and Fall months. I have no affiliation with LL Bean or was I given this jacket. Just like you I am a consumer and I think I should get what I pay for. With that said I highly recommend this product.